A not-for-profit organisation supported by the Commonwealth, State and Territory governments as well as corporate and community donations, the Royal Flying Doctor Service (RFDS) is not only the most comprehensive aero-medical service in the world and a crucial part of the Australian medical landscape, but also a much loved organisation. Operating from twenty-one bases, five health facilities and ten other facilities with a fleet of sixty-one aircraft, the ‘Flying Doctors’, as they are more commonly known, are primary healthcare providers to those living in remote (desert and rural) communities. 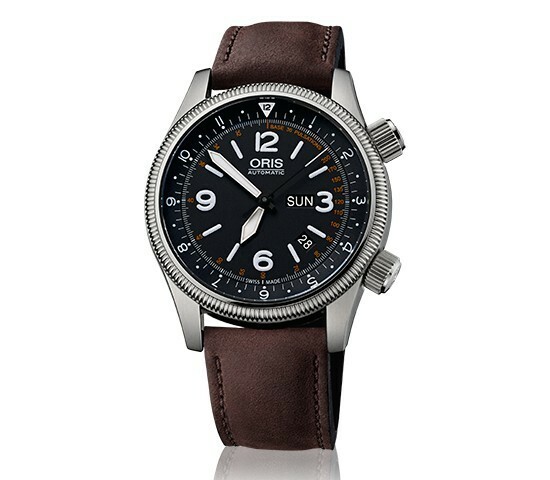 Formally launched at Baselworld 2013, Oris have partnered with the RFDS to develop a limited edition watch for which a percentage of every sale will be donated to the Flying Doctors. This watch is meant for use by the service it commemorates, with a chrono/ stop watch function, an orange pulsation scale to assist in pulse-taking, and second time zone with half hour markers on the inner bezel ring which is operated by the screw-in crown at 2 o’clock. The crown at 4 o’clock is for changing time settings. The dial is black with printed Super-LumiNova® numerals and indexes. This is not a small watch. It is 44mm in a stainless steel case with domed anti-reflective sapphire glass. 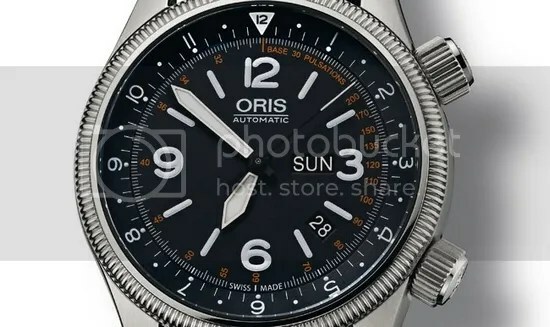 Visible through the open case back is an automatic Oris Cal. 735, made from a Selita SW 220 movement and with a power reserve of 38 hours. 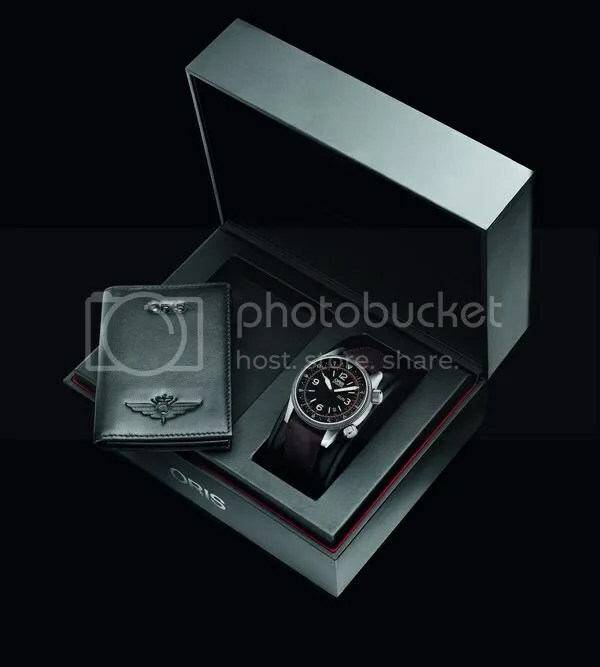 The rotor has been coloured red with the RFDS logo printed on it, and the edition number of each watch is engraved on the caseback. Produced a limited edition of 2,000, it comes in a special box with a leather business card wallet and a localised card with emergency numbers. Pricing is CHF 1750, 00 (on a leather strap), CHF 1950, 00 (on a bracelet). To get some idea of how much work the RFDS do, click here to look at some of their astonishing stats. nice… but the work of the RFDS is much appreciated and needed in Australia! I’m tempted to buy one just for the good cause of RFDS. It’s nice to see a watch with a good cause, and this is one that has a lot of support in Australia. Much loved. Indeed, and known to the world due to the great tv-series with the same name! Oh my, I’d forgotten about that tv series…blast from the past. It was shown in Sweden?? Gregory Jewellers Sydney is hosting a special launch for the RFDS in Sydney on May 23rd.